CanSkate is just the beginning for young skaters in Canada. 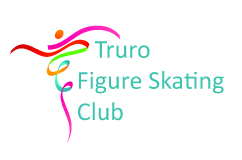 SkateCanada`s Junior program is a natural next step for budding figure skaters. Figure skates are required for these lessons and an appropriate helmet for beginners. Funding assistance is available through KidSport and JumpStart. Challenging physical activities are an important developmental activity for kids. They learn perseverence, hard work, commitment, discipline and how to be gracious in their achievements and their shortcomings. Physical activity in childhood determines a person`s lifetime health and wellness. Skating is a great form of vigorous exercise, building cardiovascular capacity and also strong muscle groups. Developing one`s balance and body control is all part of growing up. There`s nothing like skating to develop a great sense of balance and body awareness. It helps build coordination skills too. Weekly group lessons are led by our certified professional coaches and focus on balance, stroking and basic spins and jumps. And even though this is a group learning environment, our talented coaches make sure each child is encouraged and instructed based on their own unique abilities. Your young skater can attest that skating can make you feel a bit out-of-control. Imagine how exciting it is when they master those slippery blades and learn to control their movements. Even our saftey precautions help them build confidence. Junior skaters start the program with their helmets. But they get to shed their helmet when our coaches think they`re ready (and when their parents are ready too!). The beaming smile of a young skater when they graduate from their helmet is unmistakeable bliss and self-confidence!